Rural Women New Zealand (RWNZ) welcomes the opportunity to provide a submission to the Ministry of Education on the Reform of Vocational Education. RWNZ strongly supports the introduction of more industry-based providers into the education sector. We are particularly pleased with proposals for increased regional programme delivery which will combine employer and provider based training. Localised collaboration between industry employers and education providers is essential in boosting primary industry training and retaining a skilled workforce in rural areas. 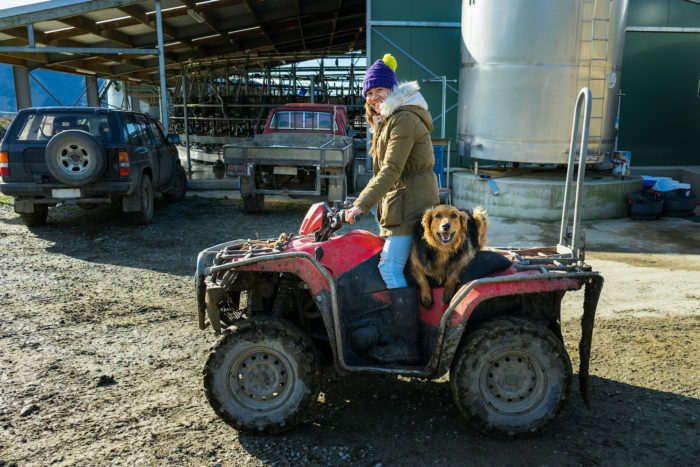 RWNZ urges the Government to ensure funding equity between different vocational sectors and implement consistent processes for community and industry consultation should further changes to funding allocations be considered. RWNZ supports the proposal to establish Centres of Vocational Excellence, provided that the Centres are allocated appropriate resources to engage local rural enterprises and communities in determining curriculum development and applied research. Flexibility for students with children who require online access to digital resources which accommodate their studies and parenting responsibilities. Addressing varying levels of support and learning needs in the vocational education sector, especially as that access to support staff can be difficult for rural students. RWNZ recommends that sufficient numbers of support staff be consistently available to ensure achievement by and retention of rurally-based students with high learning needs; if students are well supported and successful, it will encourage others to enrol. Industry Skills Bodies responsible for advising the Tertiary Education Commission on investment priorities. National Council of the New Zealand Institute of Skills and Technology (NZIST)- RWNZ urges the Government to include representatives from each region and at least one representative of the rural education sector on the Council to ensure that rural and regional education providers are included in the management of capital, programme design, development and delivery. RWNZ supports the proposal to establish Regional Leadership Groups and submits that the Groups should work closely with the proposed Education Hubs described in Whiria Ngā Kura Tūātinitini so that secondary school curricula and leadership align with local industry and training opportunities. Awareness of different community groups, for example migrant populations which may require additional ESOL resources, pastoral and/or childcare requirements. A positive foundation for local knowledge to connect regional and national strategies. NZIST national offices are located across regional and rural areas, rather than in traditional centres. Coverage of campuses is expanded to include regions with weak ITP presences now to ensure the development of a strong workforce throughout Aotearoa. NZIST works with local leaders to develop an awareness of specific issues that may impact rural students (for example, mental health and isolation) and strategies to mitigate these issues, resulting in the support and retention of rural students. We wish to provide an oral submission and look forward to hearing of a suitable time. Rural Women New Zealand (RWNZ) is a not-for-profit, member-based organisation that reaches into all rural communities and has an authoritative voice on rural environment, health, education, technology, business and social issues. RWNZ strives to ensure that all rural residents, workers and families have equitable access to services, inequalities are addressed by Government, and the wellbeing of rural communities is considered from the beginning of all policy and legislative development. RWNZ is affiliated to the Associated Country Women of the World and as such upholds all United Nations, ILO and WHO conventions and outcome statements as they relate to women and rural women in particular. RWNZ would like to draw particular attention to the United Nations Sustainable Development Goal 4, Quality Education, which seeks to ensure inclusive and equitable quality education and promote lifelong learning opportunities for all.